Edgewater is a small town on the outskirts of Denver, in Lakewood, Colorado. While away from the central part of Denver, the small municipality is only minutes away from the city proper. It offers the close-knit atmosphere of a small town, with all the conveniences of having a bigger city nearby. Edgewater is a Home Rule Municipality, which means that the town has been given legislative powers from federal authorities. This gives the town more control over their own affairs. 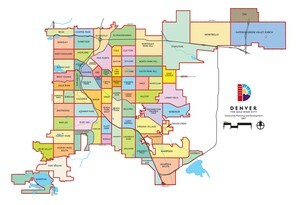 Edgewater is one of 100 Home Rule Municipalities in Colorado. Edgewater boasts a nice array of pubs and restaurants, along with local coffee shops such as Edgewater Coffee Company, which serves good, local coffee at a good price. Pubs such as The Providence Tavern provide the community with good places to enjoy a night out, as well. The town takes its name from being on the shore of Sloan's Lake, which was formed when as legend has it, Thomas Sloan tried to dig a well and tapped into an underground aquifer. The town lies on the western shore of the lake and offers spectacular views of both Downtown Denver and the mountains.